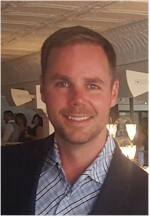 Justin Bailie is the co founder and president of a Silicon Valley based startup RoseRocket, a modern TMS for LTL carriers. Consistently recognized as a top industry influencer Bailie has been quoted and/or contributed to over 30 national and international publications including INC magazine, Huffington Post and the Globe and Mail. Bailie is recognized as a subject matter expert in the logistics industry and consults with businesses on business modernization and systems, marketing to the millennial economy and sales 2.0. He is also a published author, keynote speaker, and father of three.